We’re here to help you keep your licence up to date. Even though a lot of older licences have been upgraded through the Post Office in the past to the latest Photo ID High Risk Work licences (there has to be evidence of additional training or knowledge of the new legislation and its requirements regarding new forklift procedures). National WHS Act 2012 [Section 19(3)(c) provision and maintenance of safe systems of work, and Section 19(3)(f) provision of information, training, instruction or supervision] this is also a requirement of Regulation 39 of the new National WHS Regulation 2012 effective 01 January 2012. The most common fines currently apply to companies (regardless of having in house paperwork covering policies)... staff have to be “trained on the shop floor” and be aware of all changes of regulations covering High Risk Work Licencing on forklift driving. OH&S duty of care obligations requires employers engaging individuals to perform high risk work, to provide additional training, instruction and information on the equipment operation, hazards, risks and control measures relevant to their workplace (verify with WHSQ). What a lot of managers and supervisors don’t realise is that refresher courses are about protecting themselves as well. It is not only the business gets fined in the event of an incident but the managers and supervisors are liable for significant fines as well. It falls back on to the requirement of up-skilling staff to the requirements of the latest legislation. As an employer, do you have evidence that you have kept the skills of your operators up to date and fresh? It’s the first thing the authorities will want to see if there is an incident. Are you ready? There is a simple and effective solution. Refresher Courses for forklift are an industry and safety authority recognised standard for evidence of an individual continuing competency to operate a piece of plant or equipment, or to execute a task. Conducted for individuals or groups, Total Training & Assessment’s Forklift Refresher process is designed to cover the initial unit of competency on the equipment and in a classroom setting. It is a combination of theory and practical activities, and observation with written assessment. For employers wishing to comply with legislation to maintain the competency of operators, this is a thorough solution to providing evidence of compliance. As part of an ongoing program, an employer has ongoing evidence that they are monitoring the work of their employees. 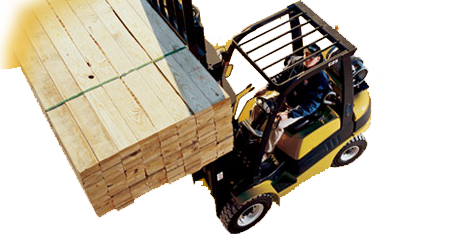 The Forklift Refresher Training results in written outcomes for the employee and employer which also state where any training gaps may exist, or for areas that require immediate attention. Warning: Operating a forklift without a licence can lead to heavy fines. (1) Corporation are up to $3,000,000. (2) Officer $600,000/5 year’s jail. (3) Individual $300,000/5 years jail. All three can be fined in the one event, and significant fines still apply for non-compliance. Naturally, any business or individual cannot afford to risk this, and holding a current photo ID forklift licence is the safest and cheapest answer. The most common fines with WHSQ are failures to upskill staff to the required level under High Risk Work licences, so our refresher courses cover all they need to know, including certified evidence. New national OHS harmonisation laws, effective January 2012, bring greater importance to employers’ due diligence and obligation to ensure an individual are competent and have received updated training in alignment with the new regulations outlining safety procedures that must be followed. Refresher Courses enable businesses to confirm that their employees are competent in their skills using equipment. Our assessors are experts in the field with years of experience, so they are a trusted source to keep you up to date with industry standard forklift licencing.